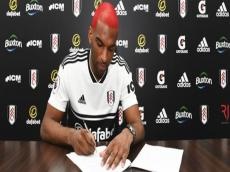 Fulham announced on Tuesday that the club has signed Ryan Babel from Besiktas, according to goal.com. The club paid £1.8 million ($2.3m) to sign the former Liverpool attacker, who has a deal with the club running through the end of the season. Babel made made 146 appearances for Liverpool during a three-and-a-half year stint with the club from 2007-11. The Netherlands international will join Claudio Ranieri's side in the push to stay in the Premier League, as Fulham currently sit 19th in the Premier League. The 32-year-old winger has bounced around since leaving Liverpool, having featured for Hoffenheim, Ajax, Kasimpasa, Al Ain, Deportivo la Coruna and, ultimately, Besiktas. Babel scored double-digit goals for the first time in his career in 2017-18, firing 13 goals in Super Lig play and 15 total in all competitions.